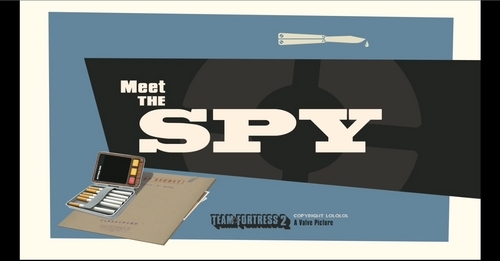 You've all seen the meet the spy video, but did you notice everything? Well, did you? Here I'll go over a few highlights from the video (click the images for fullscreen). First of all, you all saw that sign board at the beginning of the movie. But unless you had the high quality posted on Steam, you probably couldn't read them. Here for your pleasure is a screen shot. Not sure the fascination with Dracula. For your information, Defenestration is being pushed/thrown out of a window. 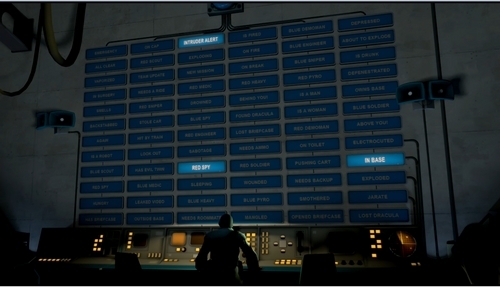 The next thing to look at is the advertisements on the back wall of the briefcase room. 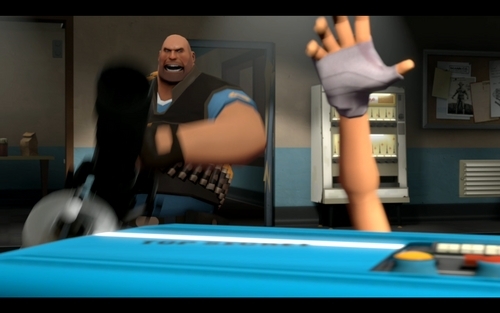 Here you can clearly see a picture of Saxton Hale, chief Australian merchant. Furthermore, we can see the detail put into the video. 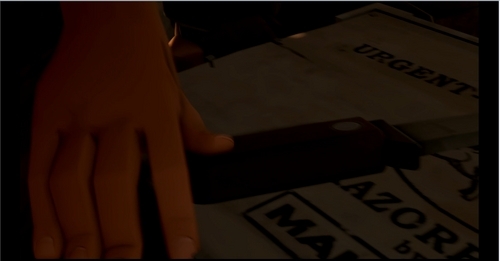 The folder clearly says Scout's Mom, an early tip if you caught it the first view through. Next we get a closeup of the pictures, most we see later, but there is one that isn't as easily visible in the other scenes. 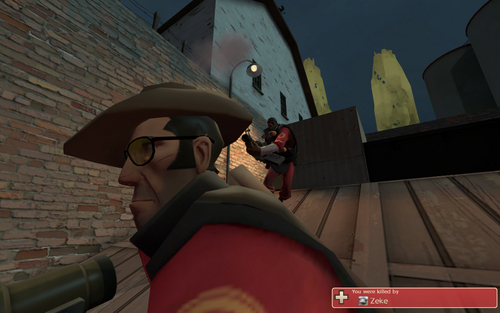 The sniper's bow and Jarate are visible here. We can also see the Razorback tucked safely away in the box. If only he had used it earlier. Last but not least, we find out that the sniper is made out of two eyes, some pieces of cloth and fragments of skull, nothing else. Oh yeah, and each eye has its own brain. 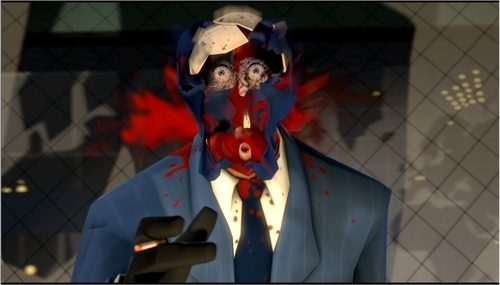 No wonder the spy can multitask so well. Bonus: As an homage to the Meet the Spy video, it seems that Valve chose to update the sniper model with a scar. 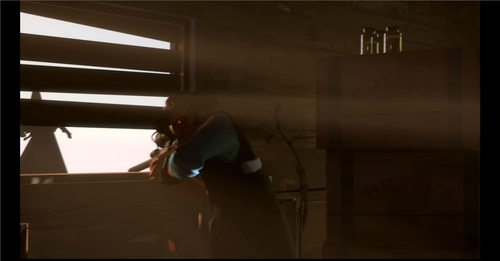 True the sniper in the video died, but its a game, so whatever. There are also new death animations for getting backstabbed and headshots. Seems like Valve really wanted to spice the game up with the update.